Japan Airlines (JAL) and Silk Way West Airlines (SWW) of Azerbaijan have agreed to start a cargo services cooperation, which includes the use by JAL of SWW’s main-deck capacities. Following a strategic increase of SWW’s frequencies, and two-years of positive experiences in which Malaysian Airlines Cargo enjoyed block space agreements with SWW, the Japanese and Azerbaijani carriers will see JAL utilising SWW’s Boeing 747-8F uplift on scheduled routes linking Japan and Europe via Baku. The geographical location of Silk Way West’s hub – perfectly located along the ancient Silk Route, at the crossroad between The Orient and The Occident –favours such a co-operation, SWW says in a statement. With JAL ending its own dedicated freighter aircraft operations in 2010, the use of SWW creates some interesting options for both carriers. As Silk Way West Airlines is poised to increase its weekly connections out of its hub in Baku from three to four weekly rotations, the cooperation creates a win-win situation for both partners. At the same time SWW will be able to boost its weekly operation between Baku and Europe in order to offer synchronised connections to/from Japan via Baku. “We are delighted and honoured to enter a co-operation with JAL, as this kind of co-operation fits perfectly into the growth strategy we are pursuing in reference to our footprint in Japan. Right from the start of our [own] Japan services more than two years ago we were always eager to increase our exposure there. This cooperation with JAL represents a quantum leap in our development and I am confident that both carriers will benefit from this cooperation,” Wolfgang Meier, SWW’s chief executive and president is quoted. “Having this kind of positive communication is pleasing for JAL and we do welcome very much more capacities especially with the use of SWW’s Boeing 747-8F aircraft within our network,” Hiroo Iwakoshi, JAL board member and executive officer for cargo and mail, affirms. 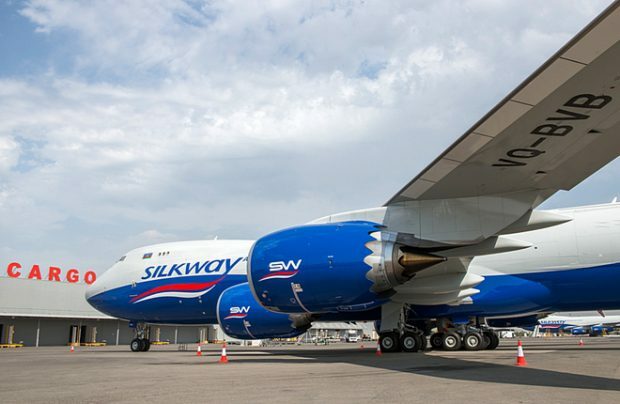 Nurid Aliyev, Silkway West Airlines’s vice-president for the Asia Pacific region, is further enthused: “This cooperation is not the first one we have pursued in this format, as we already successfully cooperate with Malaysian Airlines Cargo after they ended their full freighter activities,” he reveals. Silk Way West Airlines‘ fleet now consists of 13 Boeing 747 freighters, with another due for delivery later this summer.